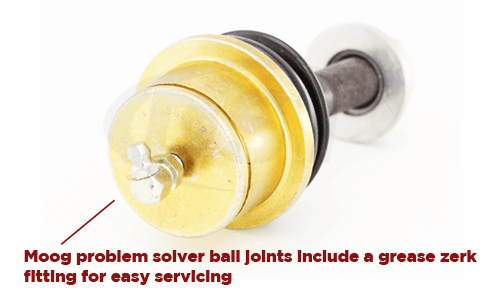 Moog's problem solver ball joint includes a metal gusher bearing and grease-able design for durability and long life. A selling point to you when buying your Crown Vic or Grand Marquis was its aluminum control arms, right? You wouldn't fool anyone here at DST if you said yes. The OE suspension on this chassis utilizes an aluminum knuckle and control arm which requires a uniquely designed ball joint. 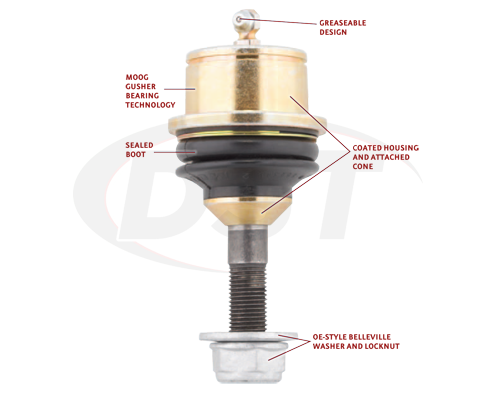 In order to prevent damage to the aluminum knuckle, the ball stud taper on the OE ball joint doesn't wedge into the receptacle like a common ball joint. 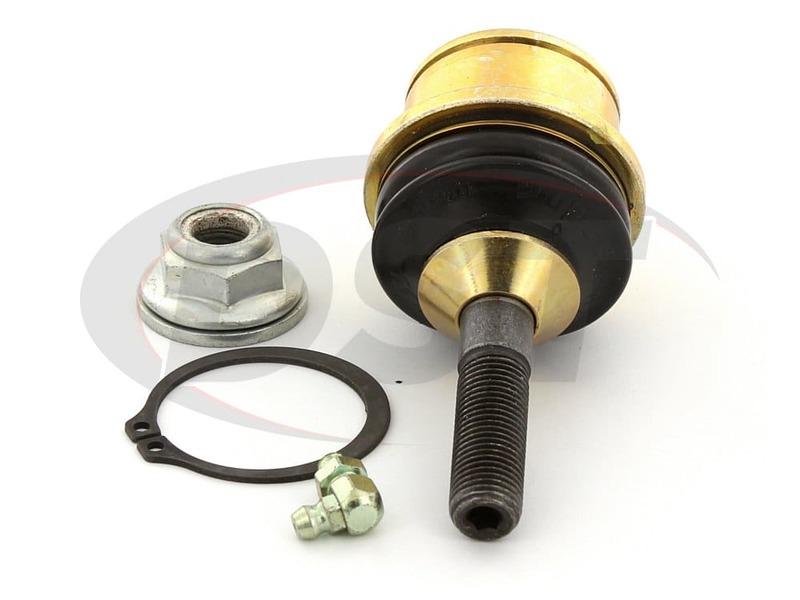 Instead, the ball joint uses a steep taper cone and a Belleville washer locknut to keep the ball joint securely in place. Also, the taper cone, housing, and washer are coated to prevent galvanic corrosion which happens when uncoated steel comes in contact with aluminum. Moog's problem solver line has a solution for you. Moog's problem solver parts target factory defects or poor original design, replacing them with a better more durable part. 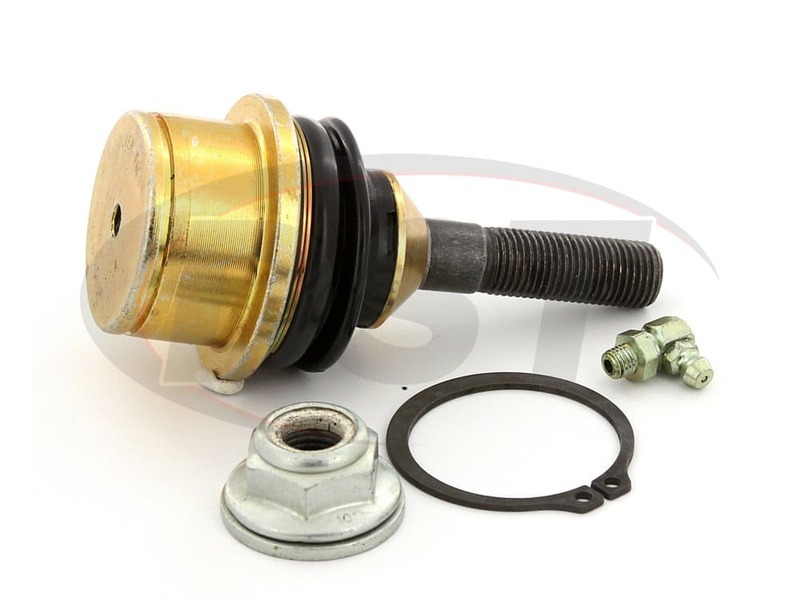 The K80141 is a lower ball joint for a 2003-2011 Ford Crown Victoria and Mercury Grand Marquis. 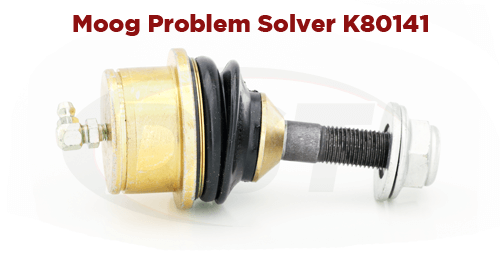 Moog's problem solver ball joint includes a metal gusher bearing and grease-able design for durability and long life. 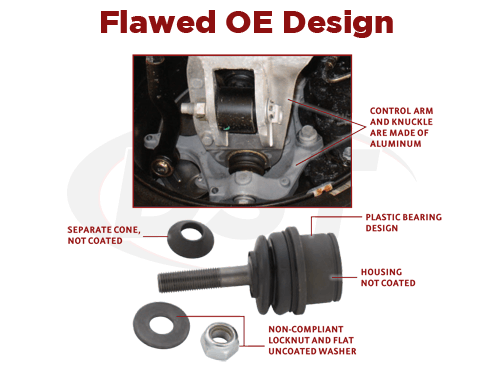 The forged housing, unlike other OE replacements, is coated to prevent that galvanic corrosion that is common in an aluminum control arm. 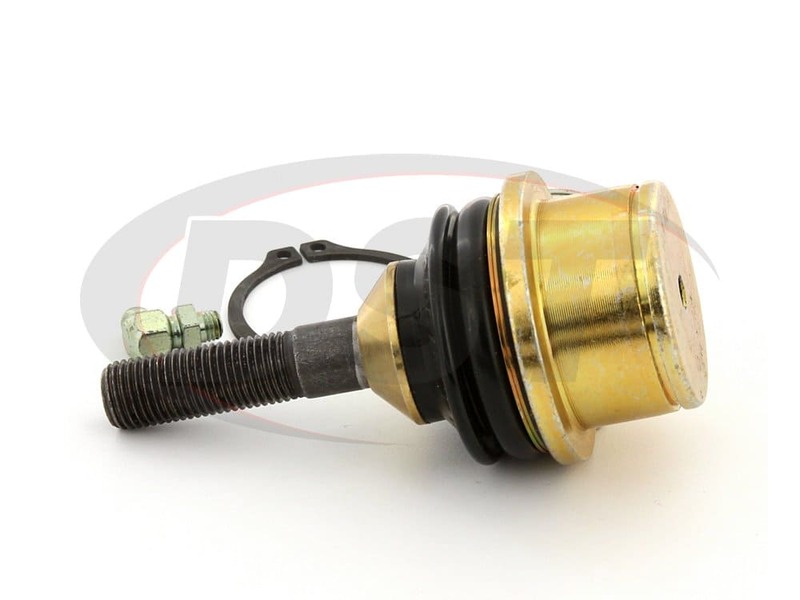 Also included in the K80141 is a built-in, and coated, taper cone allowing for easy operation. 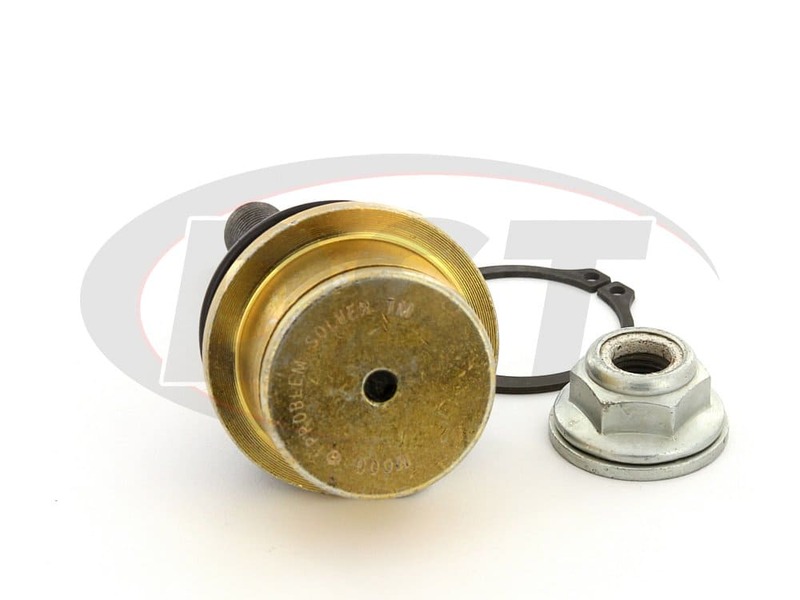 The supplied locknut features an OE-style Belleville washer for secure installation. And just like the rest of the pieces, the nut and washer are coated to guard against corrosion. 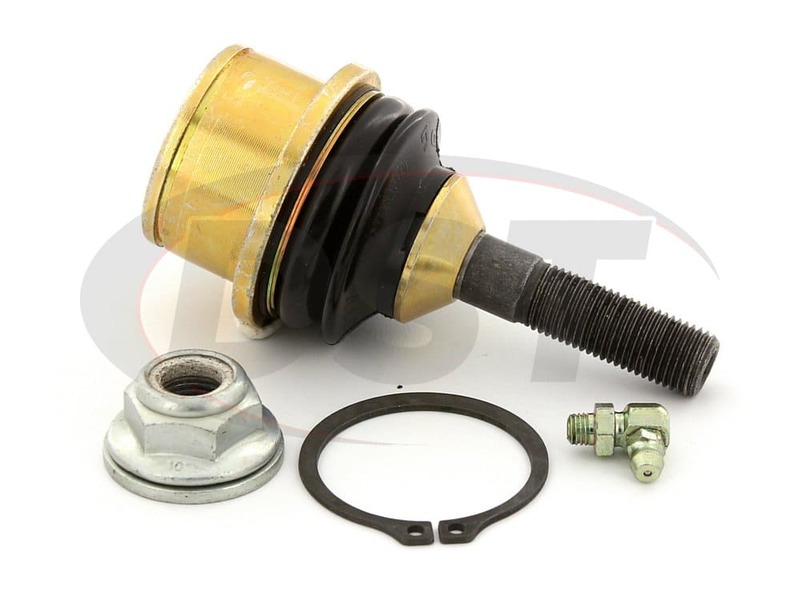 Moog includes a very steep taper with this ball joint, taking a lot of the stress off of the aluminum arm. Does k80141 fit the Police Interceptor model? 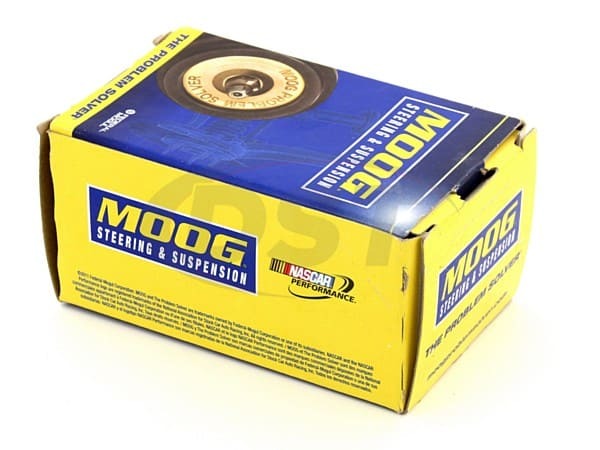 Yes, Part Number moog-k80141 will work with the 2003 Ford Crown Victoria Police Interceptor.